As the Worldskills 2017 approaches, India selected its top two contestants in electronics skills for the competition which is popularly known as “Skill Olympics”. 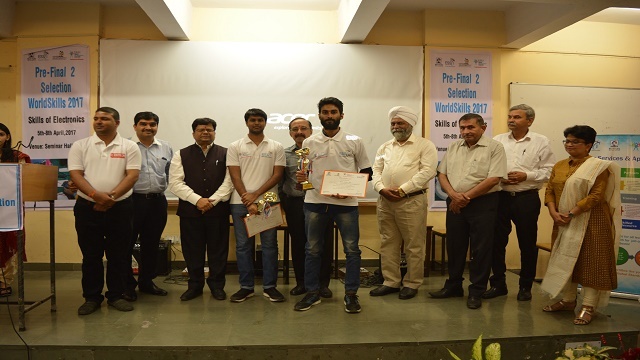 The Pre-Final 2 selection championship was held at Maharaja Surajmal Institute of Technology, Janakpuri under the aegis of Electronics Sector Skills Council of India (ESSCI). The top three competitors proved their caliber and skillset over a 15 hour task which included schematic design, PCB design, Embedded system programming, assembly, fault finding, repair and measurement and after a cut throat competition, only Harsha Prabakaran from Chennai and Sumir Jha from Delhi made it to the final round. The award ceremony of the 4 day event witnessed the presence of hon’ble Chief Guest Sh. 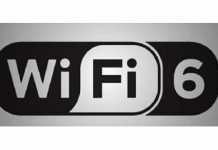 Anil Kumar Bharadwaj, Director, department of Telecommunications,Ministry of Communication & IT,Govt. of India and was presided by Sh. Deen Dayal Agarwal, Director- Bank of Maharashtra and Chairman-CSR Research Foundation. 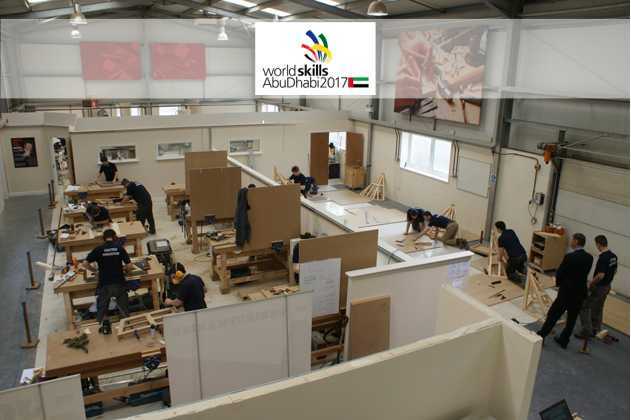 For the final showdown, the top two students will be trained at the electronics manufacturing firms to deliver skill performance at WorldSkills standards which will take place in Abu Dhabi during October this year. These candidates will be sent one by one to Finland and China to participate in their national competition to get the needed international exposure. Electronics Sector Skills Council Of India thanked to expert Sh. Yogender Pal singh and Sh. Naveen Kumar (CEO,EMTECH FOUNDATION) for their invaluable support for preparing team India. India reached to this stage by having active support of DTTE(Delhi), EMTECH FOUNDATION,UTL Technologies(Bangalore), ITI(Mangolpuri), YMCA University of Science & Technology (Faridabad), Indraprastha Institute of Information Technology (Delhi) and Maharaja Surajmal Institute of Technology (Delhi).